- Saudi police arrested the girl and placed in a girl care institution and will be referred to the specific department for prosecution, As per the local news Sabq. - The name and age of the girl was disclosed, The video of the moment went viral in social media. 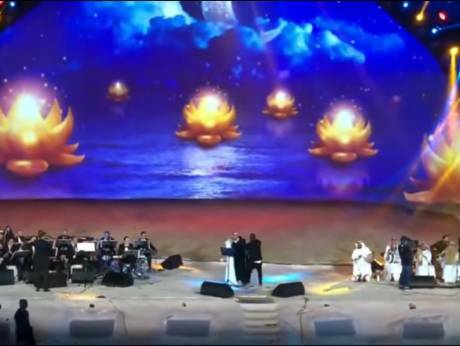 The video footage showing "A girl in a black veil rushing towards the singer performing on stage and hugging him then her bodyguards took her away".